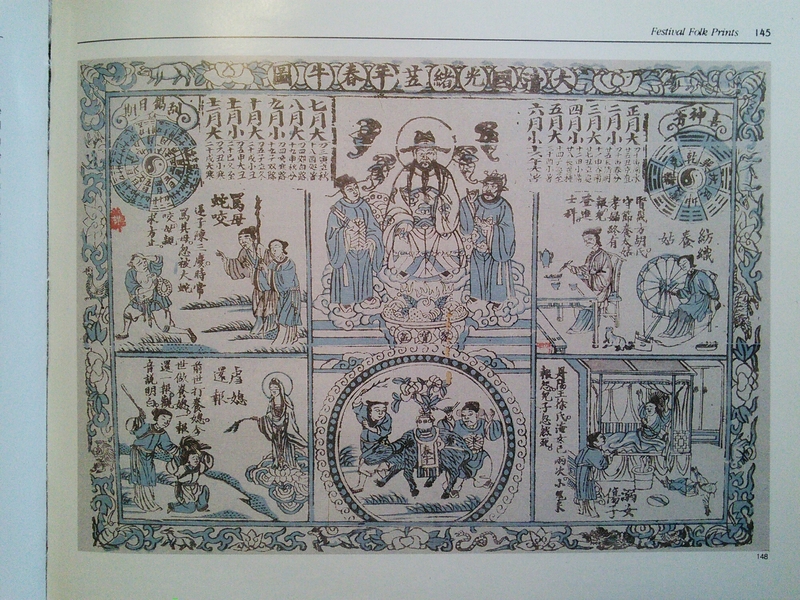 Images reprinted in Palatre, Gabriel. 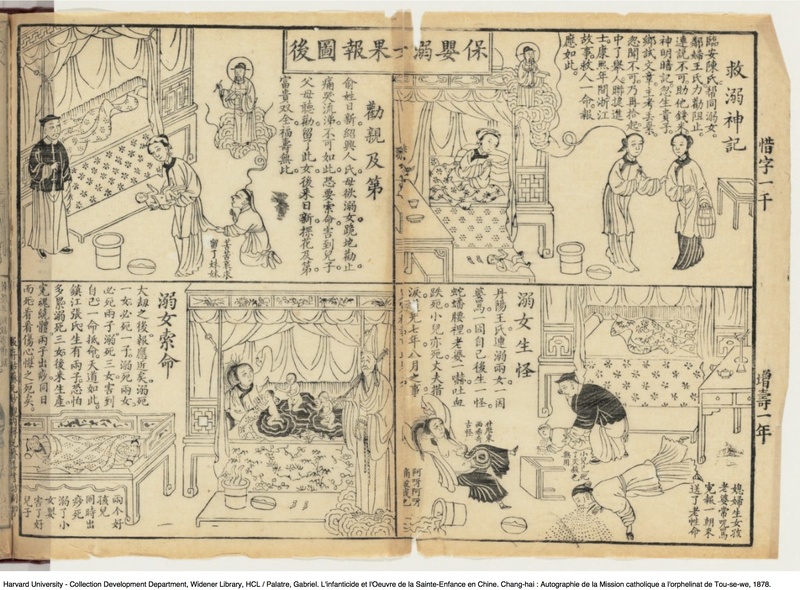 L’infanticide et l’Oevure de la Sainte-Enfance en Chine. Shanghai，1878. Original broadsheet in Palatre, Gabriel. 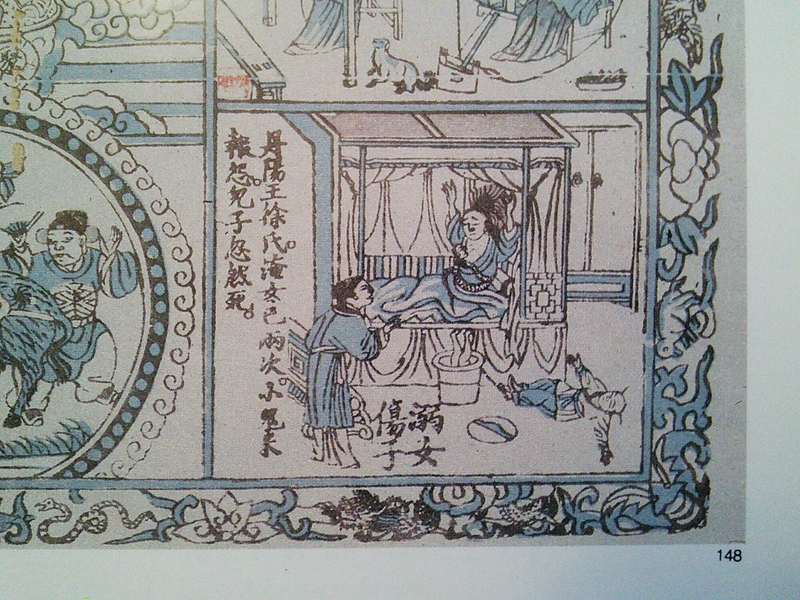 L’infanticide et l’Oevure de la Sainte-Enfance en Chine. Shanghai，1878. Snake baby in lower right corner, click to enlarge. 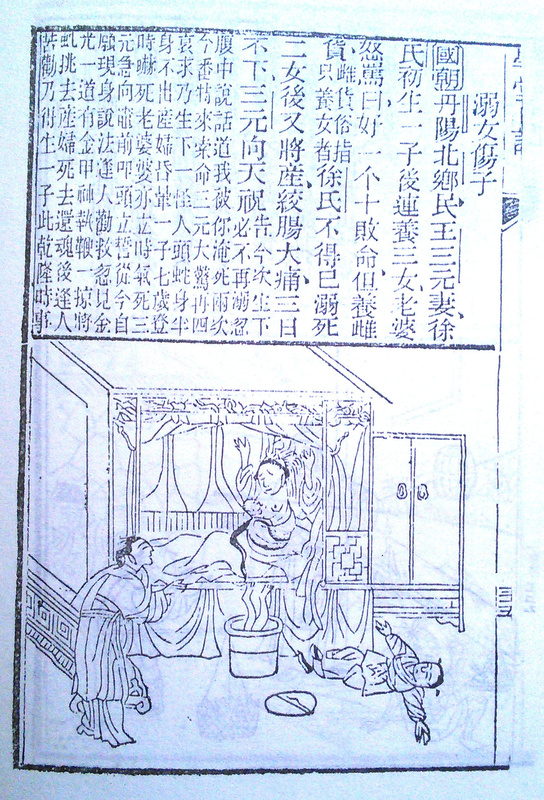 Image of snake baby in Yu Zhi’s Xuetang riji tushuo, reprinted in Baojuan chuji v. 39. 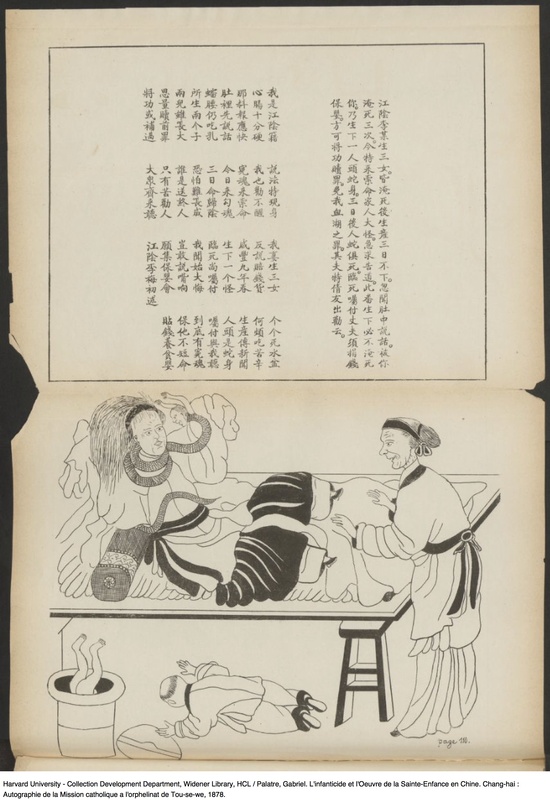 Image of snake baby from undated nianhua (年畫) in Wang Shucun, Paper Joss: Deity Worship through Folk Prints. Beijing: New World Press, 1992.